Led by Tim Whitley, 4J School District’s Energy and Water Conservation Grant Coordinator, students from Spencer Butte Middle School gave the Mayor a comprehensive presentation highlighting the history of waste prevention education in their school, providing detailed information about the volume of food waste that their cafeteria redirects into the City’s Love Food Not Waste Commercial Food Waste program. Oregon Green School Spencer Butte Middle School began composting all food scraps and classroom/kitchen paper towels in September 2012. Additional schools supporting the program in our neighborhood include Camas Ridge, Edgewood, Ridgeline, Village, and Charlemagne. Take a look at this interactive map of which Eugene businesses and organizations are also turning their food scraps into compost and crops! Raise awareness among your staff. For more information, visit www.eugene-or.gov/lovefood. Just Eat It- A Food Waste Story follows filmmakers and food lovers Jen and Grant as they dive into the issue of food waste from farm, through retail, all the way to the back of their own fridge. 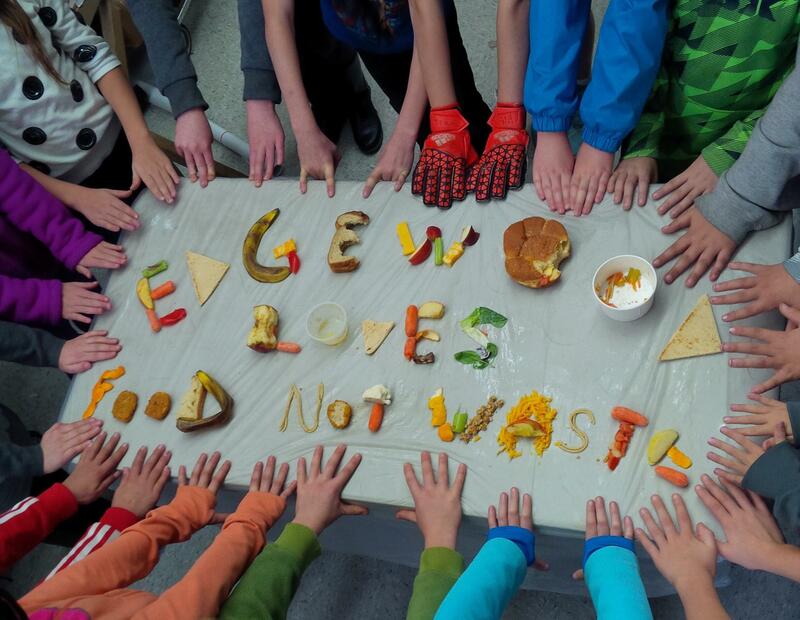 After catching a glimpse of the billions of dollars of good food that is tossed each year in North America, they pledge to quit grocery shopping and survive only on discarded food. What they find is truly shocking. This film showing is free and open to all ages on Wednesday, June 22! Start time is 4pm at Hop Valley Brewing (990 West 1st Ave.) The film is 75 minutes long and there will be a brief discussion afterwards, along with some snacks and beverages provided courtesy of our generous sponsor, Hop Valley. We hope to see you there! For more information, contact Allie Breyer: Alexandra.E.Breyer@ci.eugene.or.us or 541-682-5034.